Yesterday Ford held a gala extravaganza in Amsterdam, where it rolled out a slate of hybrid vehicles for the European market. But it also used the occasion to provide the first glimpse and initial details on another all-new model. 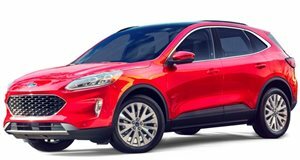 The new Ford Puma is slated to launch in Europe before the end of this year, bolstering the Blue Oval's crossover lineup with a new compact model to sit alongside the EcoSport and the new Kuga/Escape. The big question on our mind, though, is whether it stands a chance of making it back across the Atlantic to North American showrooms. Though it showed us very little of the design, the new Puma is set to adopt "athletic, seductive, aerodynamic lines” on a compact frame, with fender-top-mounted headlights. It also promises the best cargo capacity in its class, with 456 liters (or 16 cubic feet) – enough to swallow a pair of golf bags (standing upright). It'll offer a 1.0-liter EcoBoost turbocharged three-cylinder engine with a 48-volt lithium-ion battery pack, brakeforce energy recovery, and as much as 153 horsepower. "Innovatively engineered and seductively styled, we think Puma is going to really resonate with compact-car customers in Europe,” said Ford of Europe president Stuart Rowley. For crossovers, it's no longer enough to be great. One of the most popular compact crossovers benefits greatly from its refresh, but at a cost. 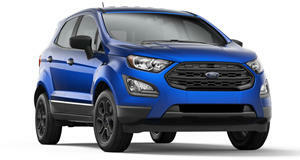 The EcoSport is a fun little SUV, but it would have been better as a hatchback.